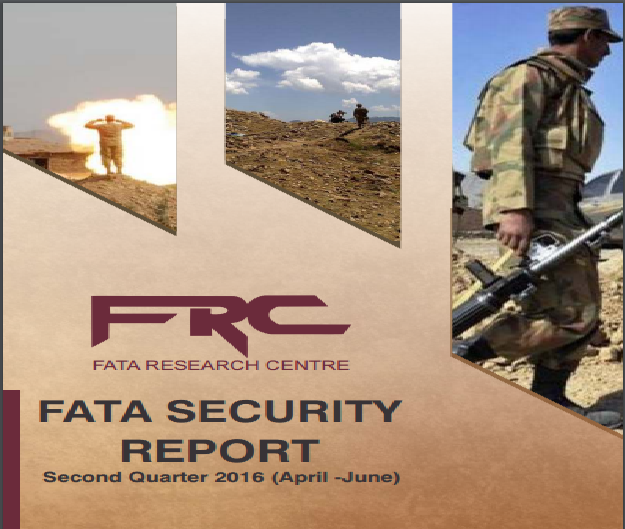 The security situation in FATA has remained disturbed during the second quarter April – June 2016. The high number of casualties caused to militants during this quarter is suggestive of the strength of counter terrorism activities being carried out in the area. A significant counter militancy trend which prevailed during the quarter was that of effectively countervailing attacks perpetrated by the militants and successfully destroying their hideouts. However, the rao of counter militancy steps as compared to militant attacks has been relatively low. A total of 37 militancy and counter militancy incidents were recorded in FATA during the second quarter April – June 2016, as compared to 53 such incidents that occurred across the agencies during the previous quarter. Out of these 37 incidents, 29 were terrorist attacks while eight were counter terrorism operations. Terrorists predominantly attacked the security forces, during this quarter,through IED attacks and ambushes on the security check posts.